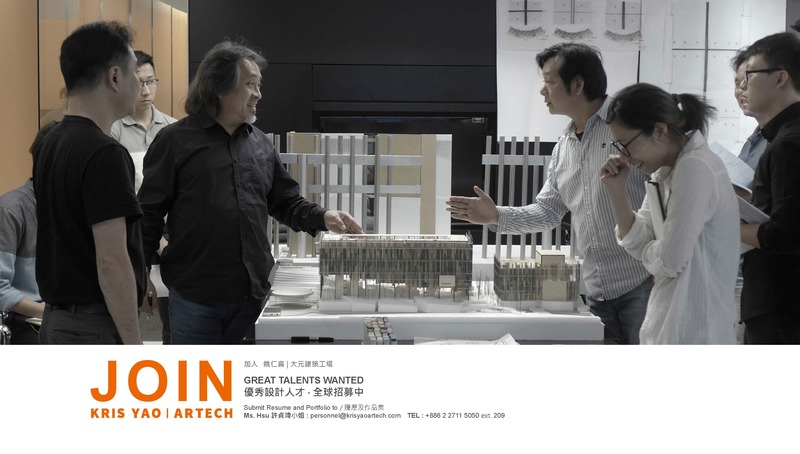 KRIS YAO | ARTECH is one of the renowned architecture firms in Asia. With offices in Taipei and Shanghai, our professional team is comprised of international talents. Our projects are mainly located in the Greater China area, but are also found in the United States, Europe and South Asia. Established by Kris Yao in 1985, the firm is hailed as the best professional practice in Taiwan as well as the most internationally renowned Taiwanese firm. Using a creative and critical design process supplemented with extensive professional experience, our mission is to deliver high quality projects. Although architecture is at the core of our practice, our involvement in projects often extends to feasibility studies, master planning, and programming. Our firm's portfolio demonstrates years of practice in cultural, corporate, commercial, hotels, performing arts centers, transportation, education, residential, spiritual spaces and urban design. KRIS YAO | ARTECH we understand that great design is most important in the success of our firm.